It’s a new year and, naturally, there’s a “new” diet that leads many of us to question our food choices and lifestyle. More recently, I have observed a strong attraction to the ketogenic diet. The advertisement stands outside of GNC have changed from Paleo-supplements to Ketogenic versions, the grocery store is quickly stocking more fat-friendly, carbohydrate-free products marketed to sell overnight, and the promises of weight loss and super-charged energy that come with a ketogenic diet seem to be going viral. The ketogenic, or keto, diet was designed in the early 1920s and, for almost a century, has been recommended for children with epilepsy to help control seizures[i]. The diet is also sometimes considered in the treatment of alcohol withdrawal syndrome, Parkinson’s disease, amyotrophic lateral sclerosis, schizophrenia, and Alzheimer’s disease[ii]. Through strict restriction of carbohydrate foods, the ketogenic diet is designed to encourage ketosis in the body, a state during which ketone bodies are generated from stored body fat to fuel the body in place of glucose (derived from carbohydrates). It is a high-fat, very low-carbohydrate style that recommends unlimited amounts of meat, eggs, fish, cheese, nuts, butter, oils, and vegetables and restricts carbohydrates, like bread, grains, potatoes, fruit, and milk. This may be why MCT oil and butter replaced the milk in your coworker’s morning coffee. Today, the ketogenic diet is often recommended for quick weight loss, and challenges the once popular low-fat diet trend. Like many weight loss diets, the ketogenic diet has been shown to result in temporary weight loss, likely due to an overall decreased caloric intake. In a December 2018 report on many systemic reviews and trials assessing the ketogenic diet for weight loss, the keto diet was found result in weight loss, peaking at 5 months of strict low-carbohydrate intake. However, participants in some studies slowly regained the weight and many studies did not follow participants for long-term weight loss and maintenance. The diet has also been shown to have varying dropout rates indicating that it is difficult to follow in the long-term. A study following 120 participants on a low-carbohydrate or low-fat diet found that 24% of the low-carbohydrate participants dropped out[iii] with other study dropout rates ranging from 18% to 84%[iv]. Additionally, like other restrictive weight loss diets, the ketogenic diet comes with side effects. Some individuals following the keto diet may experience a condition known as the ”keto flu”, during which one may experience symptoms like nausea, vomiting, headache, fatigue, dizziness, insomnia, difficult exercising, and constipation[v]. The ketogenic diet has been associated with halitosis, muscle cramps, weakness, and rash[vi]. Long term research on the ketogenic diet is very limited, and so, the long-term health effects of the diet are not well known. One virtue of the ketogenic diet trend is its celebration of fat. I, alongside the rest of my colleagues at LCWNS, love fat! Fat provides vitamins, minerals, energy, and flavor. Some of my favorite sources of fat are cheese, avocado, and nuts, and the majority of my days include at least 2 of those 3 (ideally, all 3 and multiple times a day.) 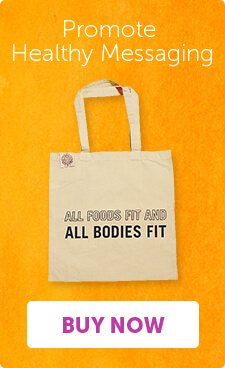 Fat is wonderful, and becomes even more so when combined with other food groups including carbohydrates and/or protein. Carbohydrates, even the once idealized and trendy ones like quinoa and Ezekiel bread, have been a recent diet industry target. However, we should remember that carbohydrates are nutritious, energizing, and worthy of a place on your plate alongside the fat(s) of your choice. Perhaps you love peanut butter, and a peanut butter on a banana tastes spectacular. Butter is creamy, salty, and so satisfying on a piece of fresh-baked sourdough bread. The avocado is a simple and beautiful food, and is just as delicious on a tortilla chip or with poached eggs on avocado toast. Because the keto diet idealizes one food (fat) and demonizes another (carbohydrates), following this regimen may also lead to unhealthy emotions and behaviors around food and the body – including restriction, over exercise, emotional and binge eating, and feelings of deprivation, shame, guilt, and regret. This and the potentially harmful long-term effects of the diet may encourage you to question whether the ketogenic diet is right for you. When we value all foods equally, we can more effectively work towards a neutral relationship with food and find physical, emotional, and mental nourishment and satisfaction. We need not forgo nor forget the satisfaction and nutritional value carbohydrates, proteins, and fats bring to our tables, plates, and mouths. Lastly, we do not need to follow the ketogenic diet in order to achieve health and happiness. [i] Freeman, J. M., Kossoff, E. H., & Hartman, A. L. (2007). The ketogenic diet: one decade later. Pediatrics, 119(3), 535-543. [ii] Pflanz, N. C., Daszkowski, A. W., James, K. A., & Mihic, S. J. (2018). Ketone body modulation of ligand-gated ion channels. Neuropharmacology. [iii] Yancy, W. S., Olsen, M. K., Guyton, J. R., Bakst, R. P., & Westman, E. C. (2004). A low-carbohydrate, ketogenic diet versus a low-fat diet to treat obesity and hyperlipidemia: a randomized, controlled trial. Annals of internal medicine, 140(10), 769-777. [iv] Ting, R., Dugré, N., Allan, G. M., & Lindblad, A. J. (2018). Ketogenic diet for weight loss. Canadian Family Physician, 64(12), 906-906. [v] Masood, W. M., & Uppaluri, K. R. (2018). Ketogenic Diet. In StatPearls [Internet]. StatPearls Publishing. [vi] Ting, R., Dugré, N., Allan, G. M., & Lindblad, A. J. (2018). Ketogenic diet for weight loss. Canadian Family Physician, 64(12), 906-906.